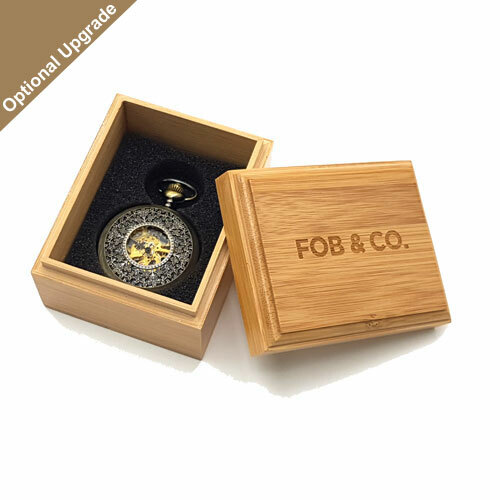 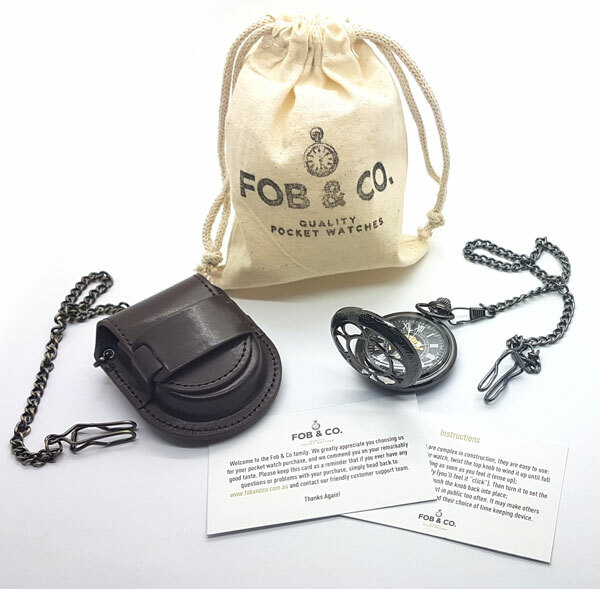 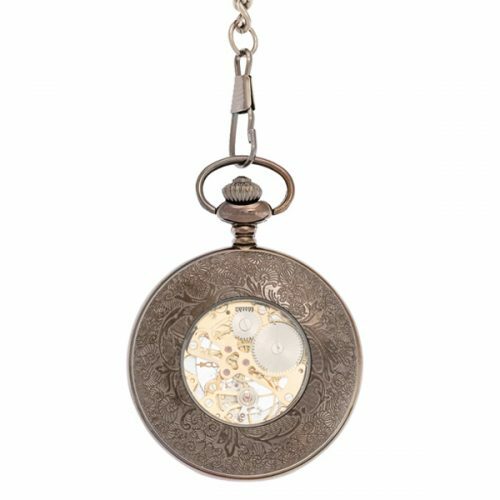 Flower Petals Half Hunter Pocket Watch - Fob & Co.
She loves me, she loves me not. 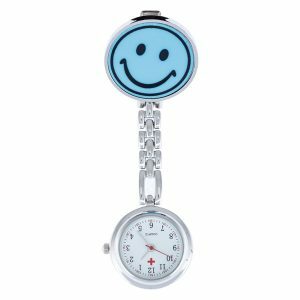 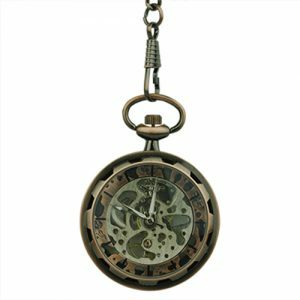 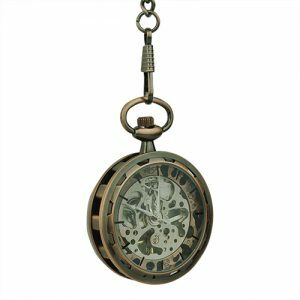 You may not be able to count off the petals on the daisy that decorates this handsome, half hunter pocket watch but the charm is there all the same. 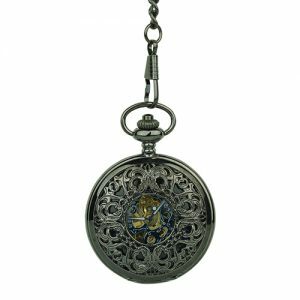 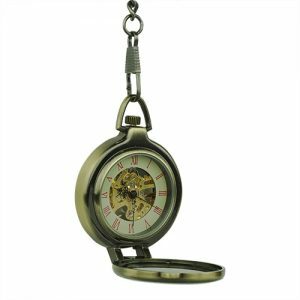 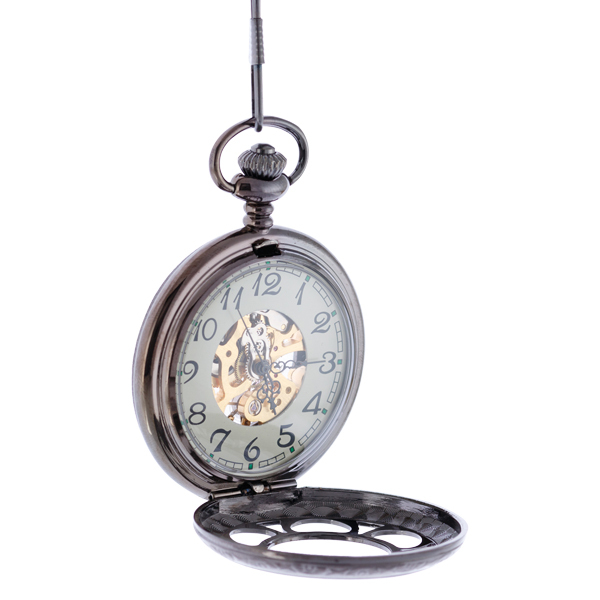 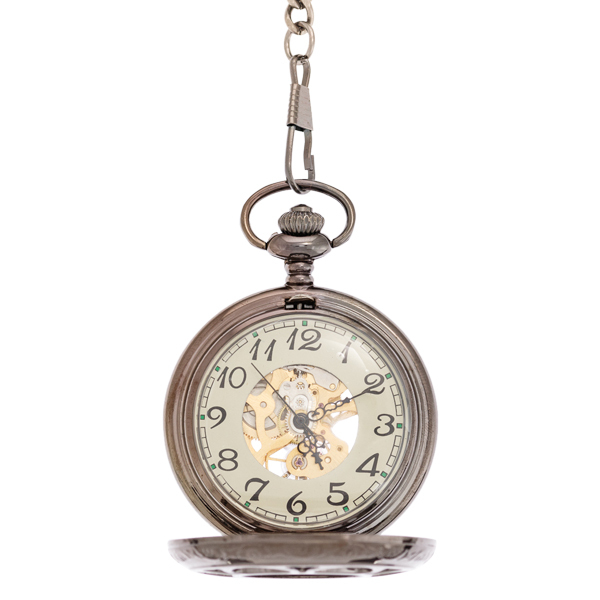 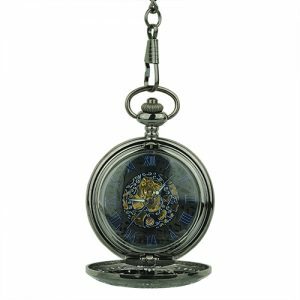 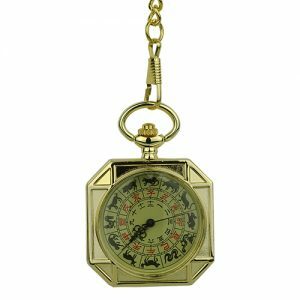 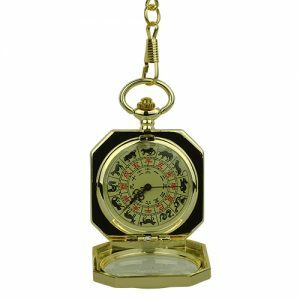 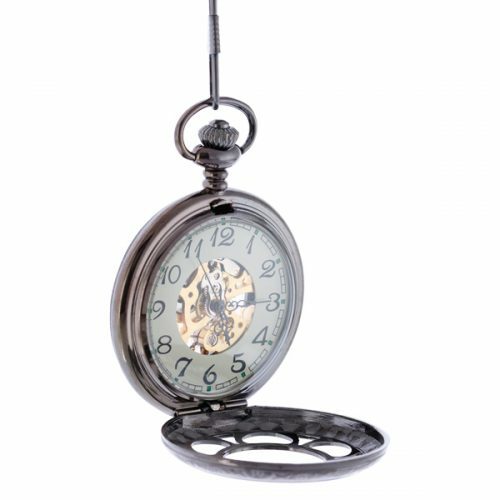 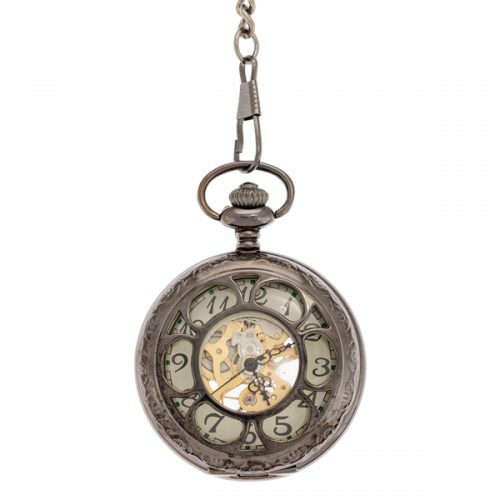 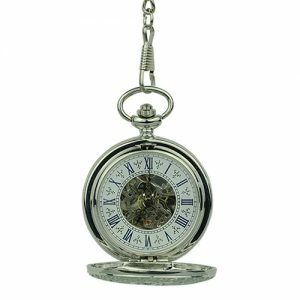 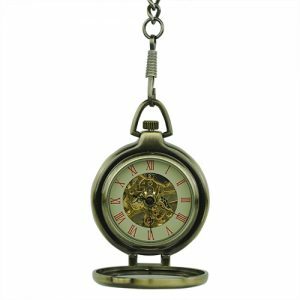 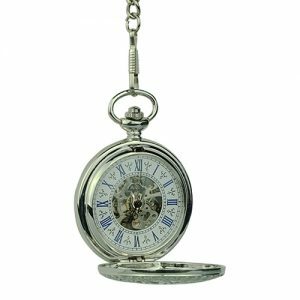 Designed in dark metal, this pocket watch has many viewing windows the reveal a watch with a white outer ring, stylish numbers, and a see-through design in the centre showing gold-coloured inner workings.